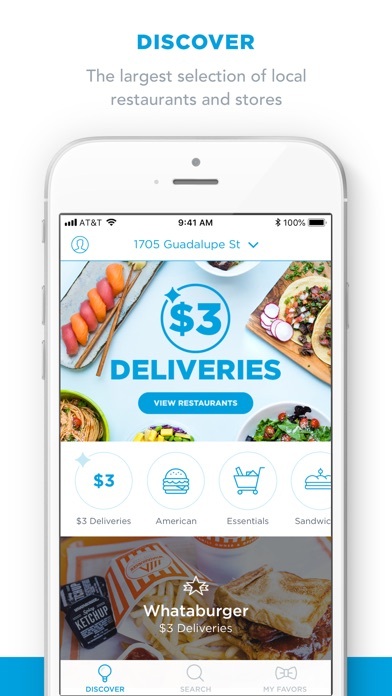 Favor is the easiest way to get anything you want in your city delivered to your door in under an hour. 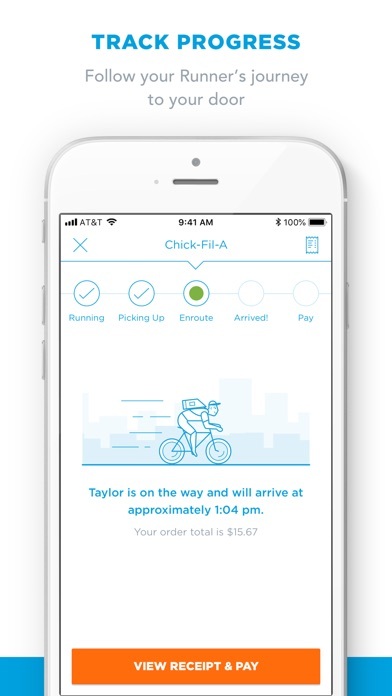 Whether it’s lunch at the office, groceries for home or those errands you just don’t have time for —  your personal assistant (we call them Runners) can deliver it in just a couple taps. • Get Anything Delivered. 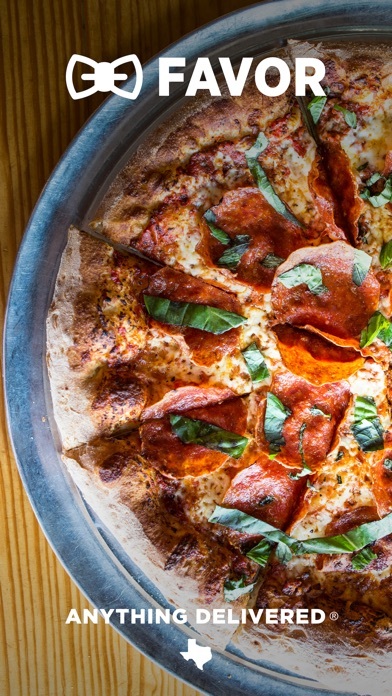 You can browse menus from thousands of local stores and restaurants to get all your favorites delivered. • Have it Quickly. Your Runner will have your Favor to your door in under an hour (our average delivery time is 35 minutes). • Beer & Wine to Your Door. You can get Texas’ best selection of beer & wine from H-E-B delivered in under an hour. Currently available in 30+ cities across Texas. • Runners Shop. You Relax. Your Runner will text you along the way to keep you posted on what’s happening and you can also track the progress inside the app. Forgot to ask for ketchup or need a roll of paper towels? 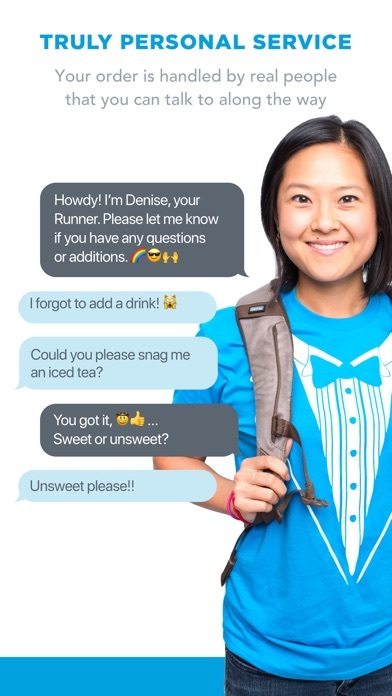 Just text your Runner, they’ve got you covered. • Pay With a Tap. Payment is simple and cashless. • Need Help? Our five-star customer support team has the answer. "The company will deliver just about anything, anywhere, anytime." 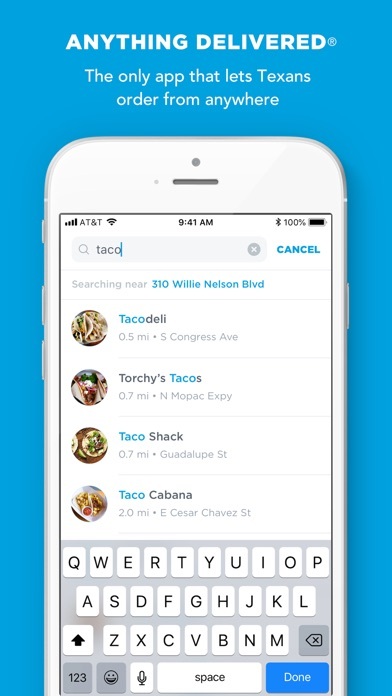 We’re currently delivering in over 100+ cities across Texas including Abilene, Amarillo, Arlington, Austin, Baytown, Beaumont, Brownsville, College Station, Corpus Christi, Dallas, Denton, El Paso, Fort Worth, Georgetown, Houston, Killeen, Lubbock, Midland, New Braunfels, Odessa, Port Arthur, the Rio Grande Valley, San Antonio, San Marcos, Temple, and Waco. If we’re not in your city yet, we’re expanding every week - so check back soon! Foxtrot: The Good Life. Delivered.